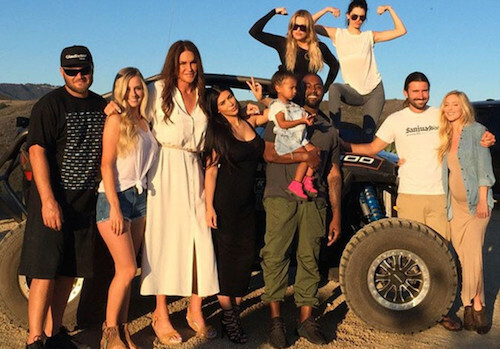 Caitlyn Jenner "Here's My Father's Day Crew"
TMZ: Caitlyn Jenner had almost a full crew of kids dune buggying all over Malibu for Father’s Day, and the pic is kind of awesome. We were told Kourtney had the flu and Brody was out of town on a DJ gig. TMZ reported, Caitlyn threw the party and it’s one of the few times her kids from different marriages showed up. 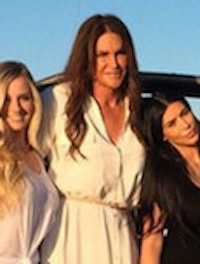 It’s the first time we’ve seen Caitlyn out in a dress. She looks great, but may be a tad overdressed for off-roading in a Polaris buggy.